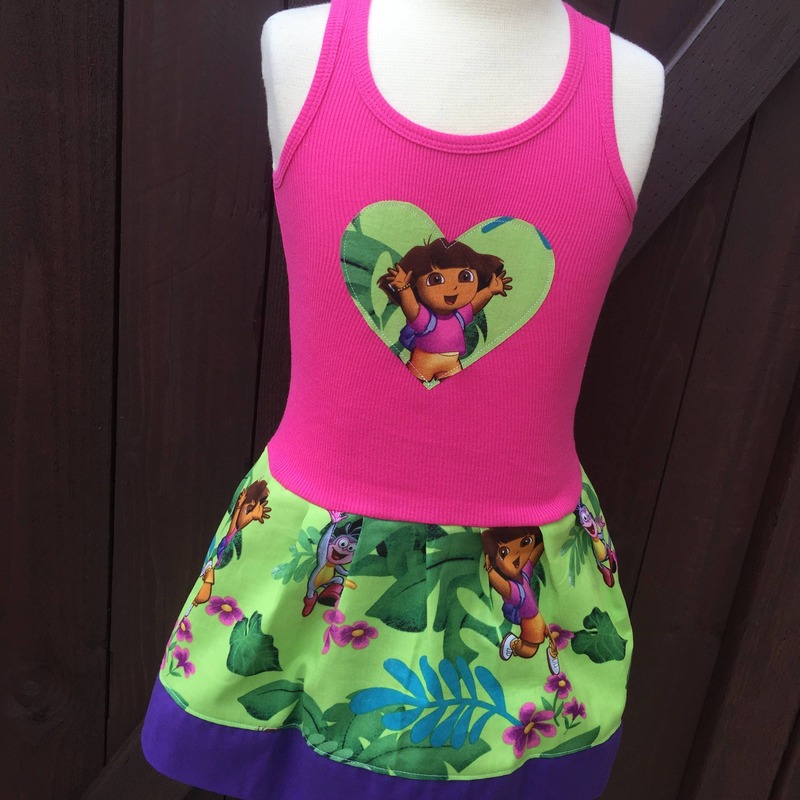 Custom made dress with licensed character fabric. Explorer Cartoon. 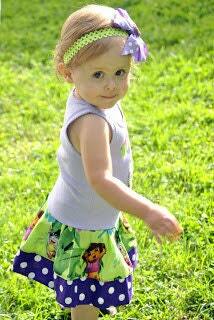 We can make this dress any size, and number. You can add name under number or leave blanket. Choose at checkout. 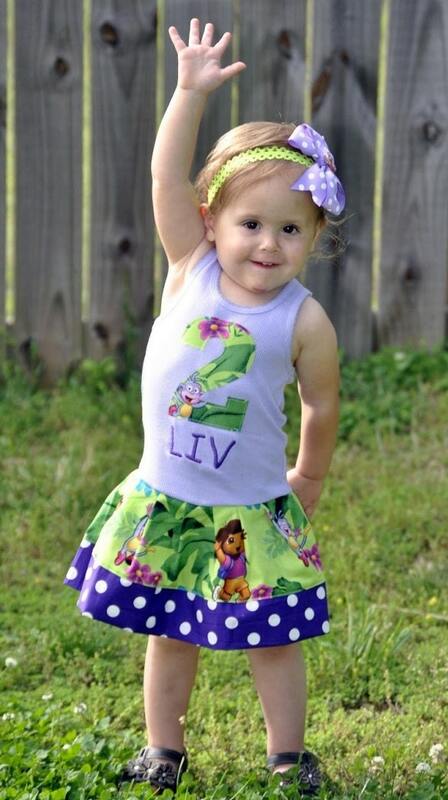 You can have this made standard with a heart or number applique on chest, or add the childs name to the outfit as shown in our example pictures. 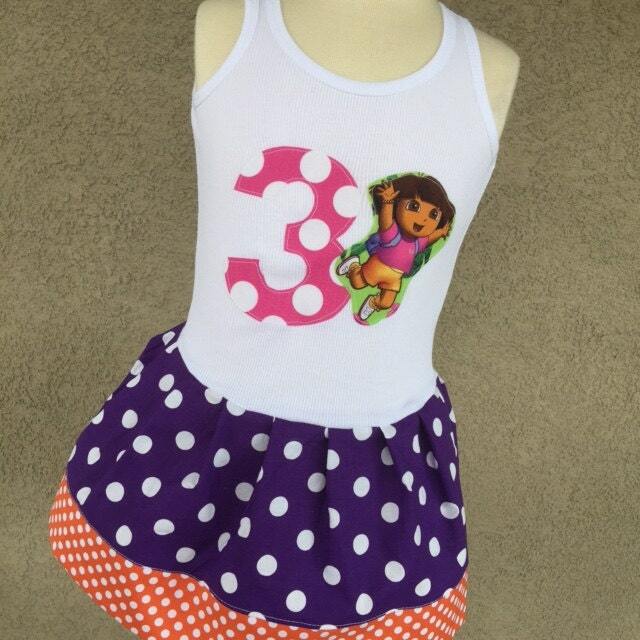 Please make sure to state size and what you want on tank as applique at checkout.